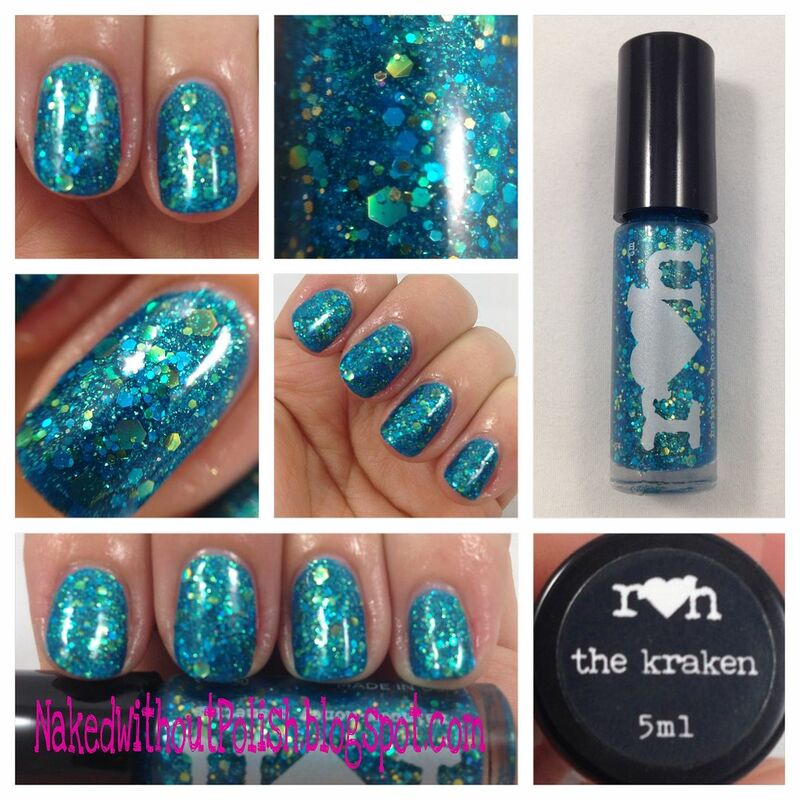 The Kraken is described as "a marine jelly with a blue and green glow filled with glitters, shimmer and...holographic". This is two coats of The Kracken. 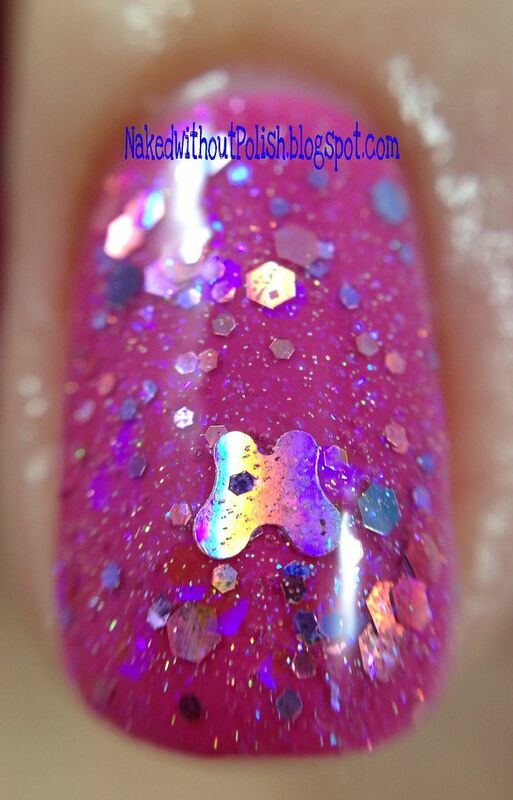 A beautifully mysterious polish from their Summer of 199X Collection. 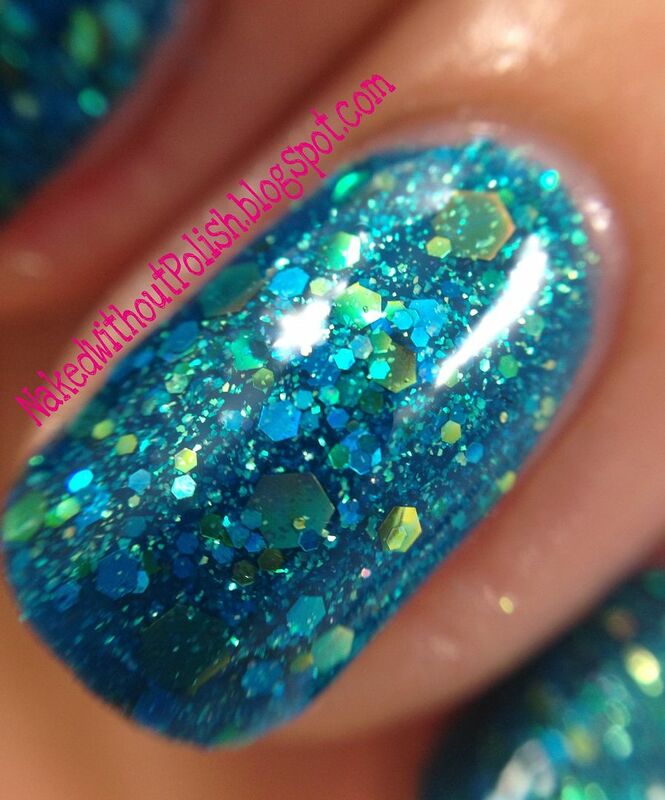 If you are a lover of teal polishes, and I know most of us are, this is an absolute must have. Application was perfect, and opaque in two coats. 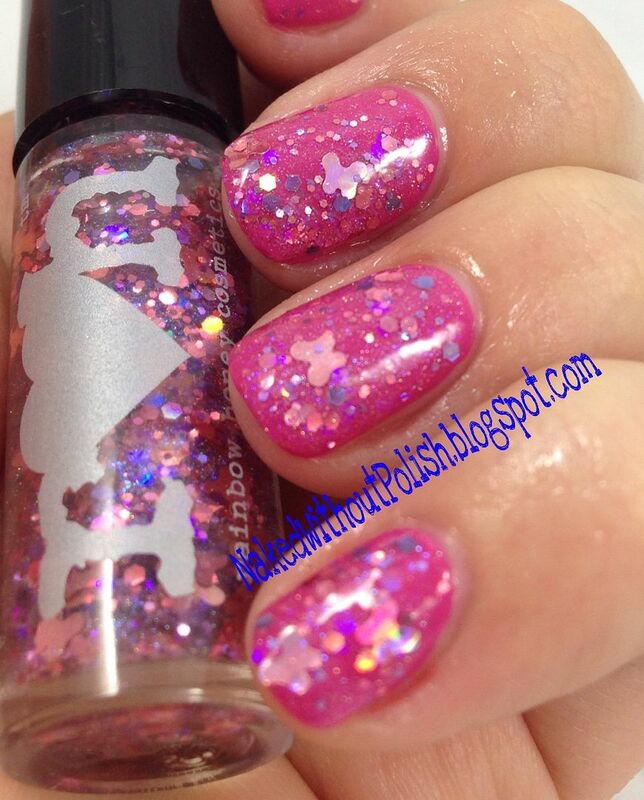 There is a reason this was one of their best selling polishes of 2013. Luckily for you all, it is still available here for $10. 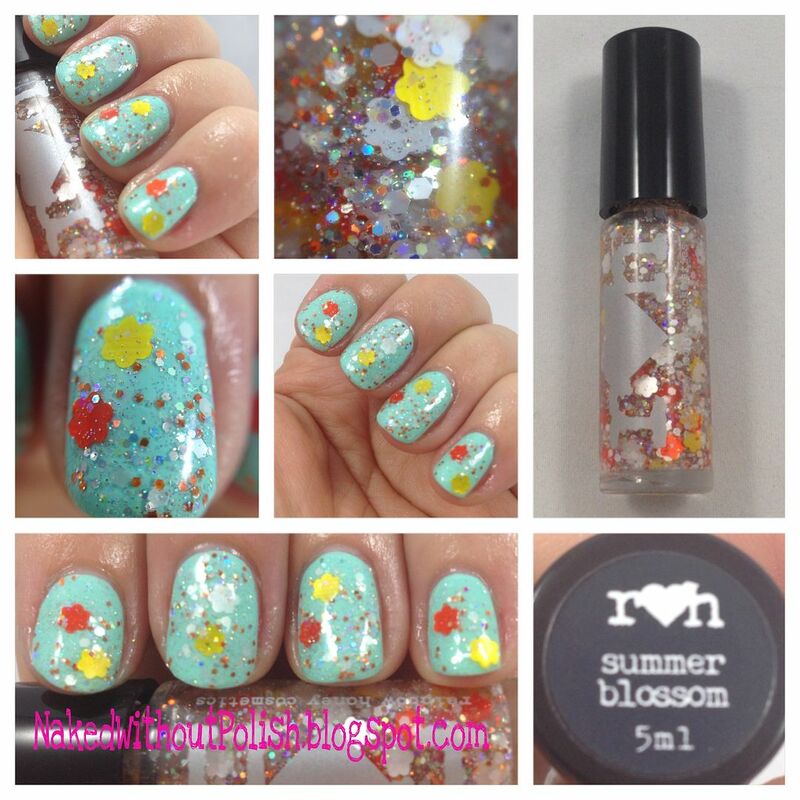 Summer Blossom is described as "a festival of orange, yellow and white blossoms in a sea of iridescent and holographic glitters". 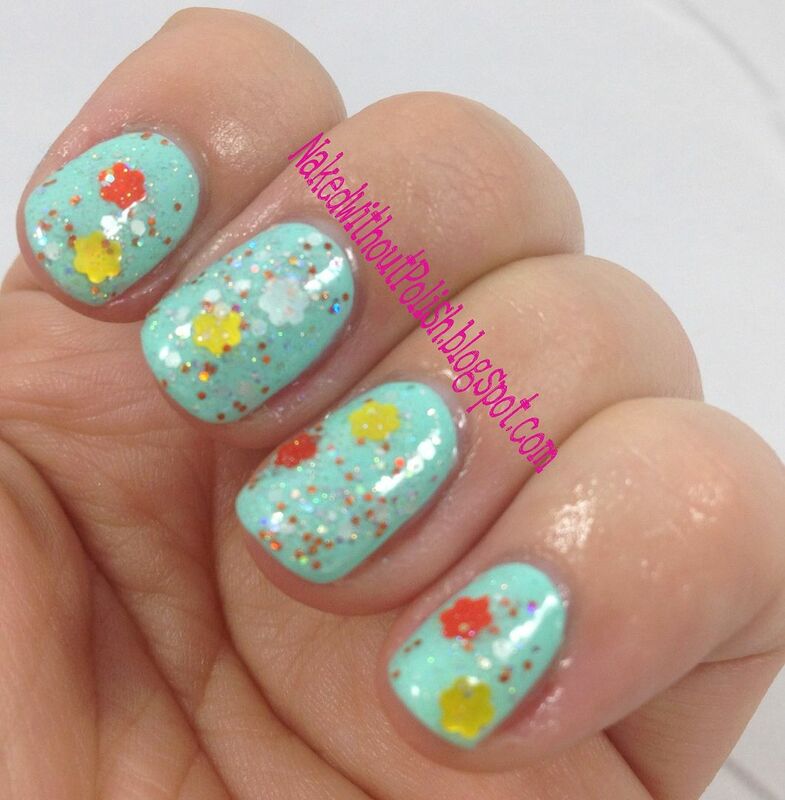 This is one coat of Summer Blossom over three coats of an unnamed Color Club mint creme. 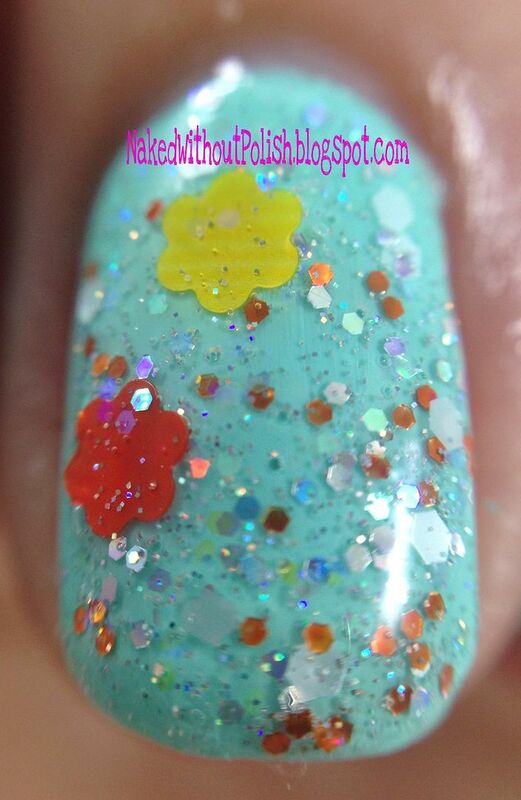 Once again, I was surprised by how much I enjoyed the flower shaped glitters in this topper. I think it's about time I stop being surprised when I like a larger shaped glitter. I didn't have to fish for the flowers very much, but there was some fishing. I thought this was going to be a thicker base, but it really wasn't all that bad. 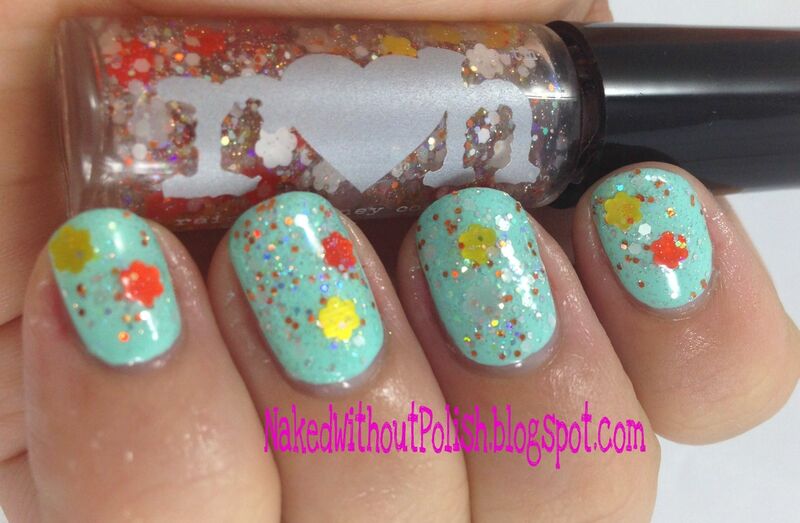 Summer Blossom was a limited edition polish from July. It just happens to still be available to purchase here for $10. Like what you see? Feel like doing some shopping? How about a promo code to receive $5 off your order? That's right!! 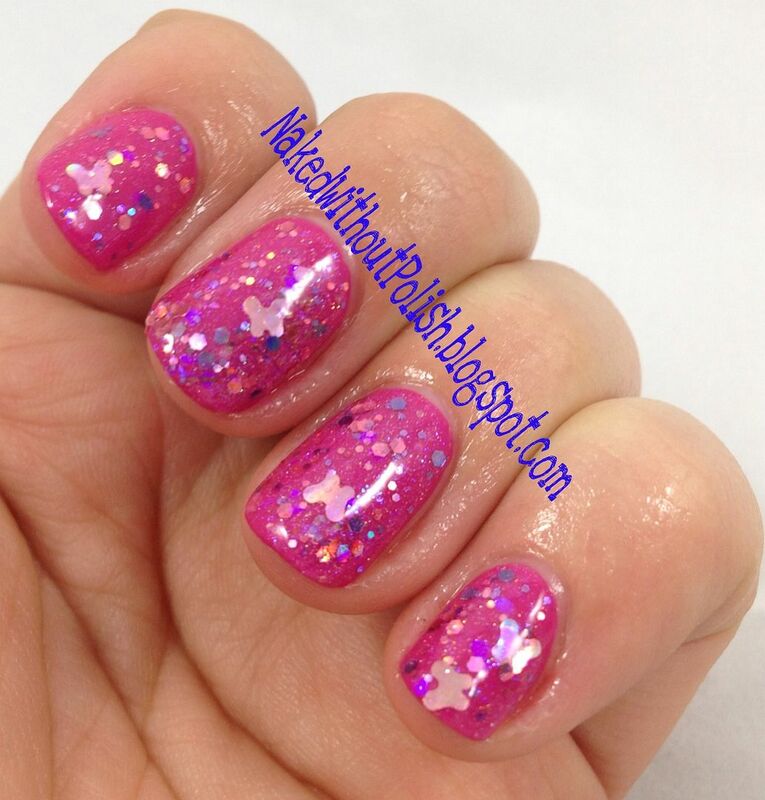 Until 3/31/2014 Rainbow Honey is offering $5 off your next order when you use the code: ILOVENAILBLOGS. 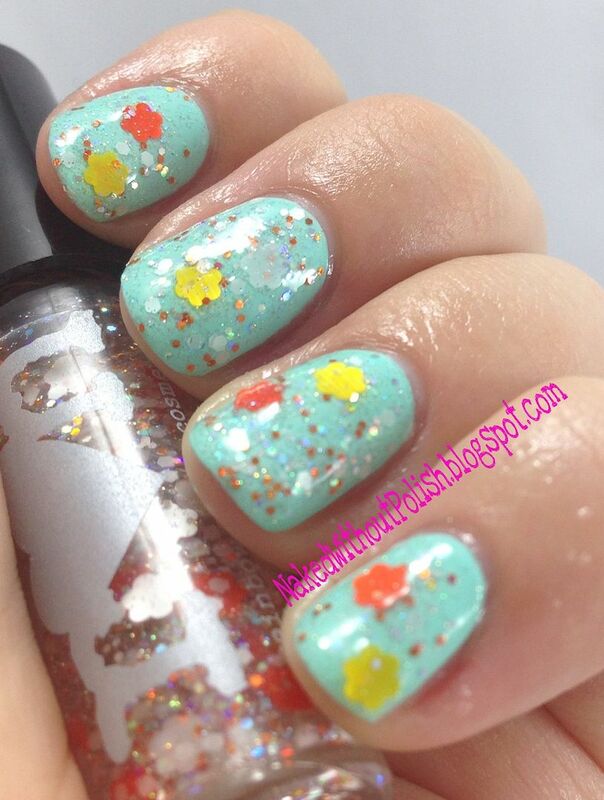 All Rainbow Honey polishes are free of the "big 3" and have never been tested on animals.